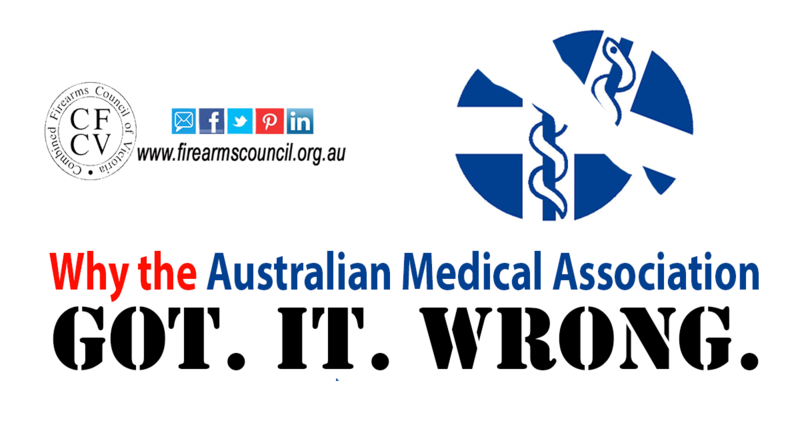 The recent statements by the Australian Medical Association raise a number of questions regarding our gun laws, which you might not know the answers to. How would you like it if shooters needed a ‘genuine reason’ to have a firearm? That’s required now. You cannot own a firearm unless you can satisfy the police that you have a legitimate reason which you can prove, such as hunting and target shooting. Are any medical practitioners shooters? Yes, quite a few. They include surgeons, doctors and nurses. Shouldn’t shooters lose their license if they breach our gun laws? Shooters who breach gun laws usually do lose their licences and can also do so for a number of reasons. This includes where the Chief Commissioner simply considers someone to no longer be a fit and proper person to hold a licence. Shouldn’t guns be kept in locked safes? Yes, it’s been that way for many years. Many shooters exceed the minimum requirements because either their collection is valuable, or they keep other items such as passports in their safes. Is there a problem with private storage? No. Only 3 percent of firearms used in crimes come from a legal source, which includes the police and military storages. The AMA referred to impulse buying of firearms. Is it possible to buy on impulse? Shooters are not able to buy firearms without obtaining a permit-to-acquire from the police. They might put a deposit on a firearm, but cannot own it until the police have satisfied themselves that the purchase is appropriate. Would an online national registry be a good idea? If we are to have registries, then yes, it would. Unfortunately not all state registries are set up for it, which is the responsibility of the respective police forces. In any case an online registry would be of no use to the AMA, because they would not – and should not – have access to it. Aren’t shooting organisations looking to relax our gun laws? If anything, shooting organisations want our laws to be based on facts and data. They also want them to be consistent, just like you can drive interstate on a Victorian licence. Unfortunately our gun laws don’t work in the same way, and they should. I believe that with the current public violence laws should be drafted for concealed/carry. To be awarded to existing licence holders that have successfuly carried out extensive training in the law and use of the weapon. This is an excellent rebuttal of the unfounded claims made by the AMA. I have been representing arms collectors at both the state and federal levels for many years and time after time I have seen the same unwarranted and uncritical acceptance made by the media of spurious claims like that made by the AMA. Again and again our popular media has shown that it is willing to print nonsense like that claimed by the AMA than talk to organizations and people who do know the facts of the matter. The AMA statement was badly researched and would never have been released either by them or published by the media if a proper and thorough attempt to establish the facts had been made. Hi, why as a organisation that supposedly supports firearms owns do you advocate a national registry? When has any of the state ones helped solve a crime? For anything other than pistols and semiauto’s it is a waste of taxpayers money that could be better spent on frontline policing. You have lost my support with this statement about it being a good idea. Thanks for your comment. I think our point is that if we are to have registries, then some form of national information flows would be preferred so that you don’t end up with shooters who move from one state to another (for example) having to go through new registrations etc. The whole question about whether firearms should be registered is another debate – and yes, there is a valid debate to be had there especially when you compare us with overseas. The other point here is that we don’t know why the AMA even raised this: they shouldn’t assume, for example, that doctors should be able to look up whether you or I have firearms. That’s simply not on. I’ve tweaked the response slightly to leave the question of registration open but I think the point is that we want to be able to travel, move, trade etc interstate in the same way we can drive our cars interstate without a hassle – and that’s pretty much all it was meant to say. It would be more helpful to point out that registries are already in place and are an expensive failure. They are only a ‘feel good’ measure to seem to be doing something, without actually achieving solutions to armed crime. This distraction actually takes Police resources away from their legitimate purpose. I was involved in a RCH research survey (regarding child hood health- nothing to do with firearms or fire arms law) we had the option of visiting the hospital or they would send someone to our home to conduct survey. I opted to have them visit us at home. A) it’s none of anyone’s business whether I do or do not have firearms. B) if I have, they are safely store and secure in accordance with the regulations, and C) even if they are in my home you wont know they are there. Now I realise some bureaucrat has divised a list of “risk factors” that hospital employees must assess before conducting a home visit, so I would tend to blame insurance/liability guided lawyers or administrators for the questioning. Referring back to A) above, I simply answered “no”, the visit was booked and conducted a few days later, and … surprise! no harm came to anyone. There are so many complications with this… I don’t know where to begin. But for now I’ll leave it at that. Back to your post. I’d be asking the AMA to produce their data for ‘bullet wound’ treatments resulting from sporting activities such as target shooting or hunting, in other words legal firearms used in legal pursuits. And i’d ask for said data to be provided in the context of rate of injury or death as compared with other sporting/ recreational pursuits. Perhaps the A.M.A should mind it’s own business and refrain from getting involved in gun politics.Their efforts would be much more appreciated if they concentrated on that little thing called MALPRACTICE and INCOMPETENCE. What sort of nonsense is this by the AMA?? Another low-act from lobby groups who have infiltrated respected organizations in an attempt to demonize and vilify law-abiding firearms owners. On another matter, the registry needs to be abolished. Our laws should match New Zealand’s pound for pound. A database or registry is only as good as the data that has been placed therein and it can be hacked. Also it must be kept up to date. This is a costly exercise and you cannot be 100% certain of its accuracy. Licence holder information is all that should be held by authorities.